There are literally millions of Florida Snowbirds; people who come from all over the U.S. to spend the winter months in comfort of a warm Florida winter. At last count, there are nearly 1.5 million Snowbirds that live part of the year in Florida and Sunbirds that move north (back to a home state) in the summer. Palm Beach County was home (or half home) to 143,000 Florida Snowbirds and Jupiter, my home town, home to over 56,000. Florida snowbirds are people who can live a life many others only wished, spending part of their time in a home state and moving to Florida in the winter to avoid the northern freezing temperatures and snow. South Florida has a sub-tropical climate where we can measure the cold moments in hours, not days. Central and Northern Florida are not as warm, but compared to New York, New Jersey, Pennsylvania, Virginia, Maryland, Indiana and other northern states, it’s a warm winter paradise. Unfortunately, with two homes comes some confusion when it’s time to sign-up for Medicare. We hear the same very important questions time again; can I get Medicare from any state I live in? Does Medicare cover me in both states? If Medicare Supplements in one state are cheaper, can I purchase my supplement there and use it in Florida? How does Medicare Advantage work when you live in two states? With this article I will answer those questions and more on Medicare for Florida Snowbirds. There are multiple features and rules with Medicare that are critically important to those who live the life of a seasonal nomad. Unfortunately, few agents and brokers have the experience of working with Snowbirds and I have seen and heard of incorrect information and advice that has caused harm to the people who look to an insurance professional for advice and guidance. Why Are Florida Medicare Supplement Plans So Expensive? most other parts of our country. In fact, the average 65-year old senior will pay as much for a Medicare Supplement plan in Florida as a senior over 80-years old in other states. Why? In part because Florida is an “Issue Age State” when pricing Medicare Supplements. Attained Age Pricing: With attained age plans your price is based on your current age. As your Supplement renews each year and you are one year older, your insurance premium will increase. The age increases are typically around 3% each year. In addition to raising the price by age, all plans have the ability to increase premiums to cover the rising cost of medical care. Issue-Age Pricing: With these plans your price is based on the price offered you when you first enrolled in the Medicare Supplement. The insurance company cannot raise your rates just because you are older. However, all plans have the ability to increase premiums to cover the rising cost of medical care. Community Rated Pricing: With community rated plans everyone is charged the same rate regardless of age, gender or health. If you and your spouse have the same price for your Medigap plan, it’s likely a Community Rated plan. Again, all plans have the ability to increase premiums to cover the rising cost of medical care. Keep in mind, all Medicare Supplement plans are one-year guarantee renewable contracts. The insurance company must renew your supplement and cannot cancel your plan unless you stop paying the premium. However, the insurance company does have a legal right to raise or lower your premium as long as they are doing so on a group basis, not singling out any individuals. Such price increase and all pricing must be approved by the state. How does this impact Florida? Florida state law dictates that all plans must be priced on an Issue-Age pricing. One would think that would mean the Medicare Supplement plans are less expensive in Florida, but in a classic Freakonomics dose of reality, the opposite is true. Because insurance companies know they cannot raise rates every year based on age, they simply price Medicare supplement plans so that a person at age 65 is paying the same rate as an 80-85-year old in other states. That way they are sure to not lose money as one-quarter of Florida residents turn 65 over the next ten years. To add injury to insult (yes I know that was backward) Medicare Supplement plan prices go up almost every year anyway as insurance companies claim increased costs due to medical inflation. Just to drive the issue home, I have include three illustrations below. The first shows the Medicare Supplement monthly premium for a Medigap Plan F for a 65-year old Male who lives in Fort Lauderdale Florida. The second shows the monthly premium for the same Medigap Plan F for the same 65-year old male, but this time he lives in Pennsylvania. I did not shop for this, I simply took the zip code of a person in PA who called me this morning. The same would be the case for a person in Virginia, Maryland, Oklahoma, Indiana, Illinois and so on. Keep in mind that actual prices vary by zip code. Prices for other areas of Florida, Pennsylvania, Indiana and other states can be higher or lower. Just for fun, I kept increasing the age of the Pennsylvania male to see how old he would have to get to pay the same premium as the Florida 65-year old. The answer is 83-years of age; as shown in this third illustration. Having an education in economics, this is classic economics when you understand cause and effect as presented via the Freakonomics model. As a quick aside. There is much misinformation about the various pricing methods and which are better. Having experience with these plans and seniors from 65 to 95, I will add this; for people turning 65 and up to about 75, Attained age pricing is usually the most competitive. For people of poor health and /or older than 75, Community Pricing may be better. However, don’t get stuck on the pricing model. We shop prices for people of all ages (65 and over) in more than a dozen states. Because the plans are standardized, we simply look for the best priced plan from a quality insurer. So now you know why Medicare supplement Prices are so high in Florida. Next we will talk about what you can and cannot do about it! All About Medicare – Click here. How to Do Medicare as a Snowbird. While the Medicare Supplement Plan F prices illustrated above are shocking. Every state has one or two plans that offer the best value. Due to changes in Medicare laws that are unfolding over the next four years, Medigap Plan F is not the best value anywhere. In most states, we find the best balance of coverage and price are found in Medicare Supplement Plan G and Medicare Supplement Plan N prices. In fact, certain laws in Pennsylvania make Medigap Plan N a shoe in. The two Medicare Supplement plans that are the best value for Floridians are Medicare Supplement Plan N and Medicare Supplement Plan F-High Deductible (Plan F-HD). I have written about both plans extensively in other articles, so I won’t repeat that here. I encourage you to read up on both plans as I believe you will find one that fits both your budget and your needs. However, I will include the brief verbal illustration below to wet your curiosity about Medicare Supplement Plan F-HD. Here is a different way to look at the value of Medicare Supplement Plan F-HD vs. Plan F in Florida. So the 65-year old has the option of paying $3,108 per year for 100% first dollar coverage or $906 per year for 100% supplement coverage after paying a $2,180 deductible. Medicare Parts A & B still pay their portions. The deductible is only pertaining to those expenses a Medicare Supplement Plan F would have paid. This means that with Medigap Plan F our 65-year old will be paying $2,202 each year to protect against a possible $2,180 maximum loss. That is some expensive insurance. It is like paying $22,020 per year to insure a $21,800 car. Obviously, that is not as good a deal for you as it is for the insurance company. Medicare Advantage plans are not an ideal choice for Florida Snowbirds because they typically have a limited service area and the out-of-pocket financial risk is up to $10,000 per year for a PPO and unlimited for an HMO. Also, you cannot choose a drug plan. You must take the one provided. This could make your prescriptions more expensive and less convenient when out-of-state. Still, for those who prefer the Medicare Advantage platform there are two choices worth considering. One choice is the United Healthcare /AARP Regional PPO with their Passport Plans. If your two residents are in the right counties, this plan can offer in in-network coverage in both Florida and your northern state. Humana also has a regional PPO that covers all of Florida and allows for in-network coverage with any doctor contacted with Humana in the entire country. Both should be evaluated carefully before making a decision. Unlike Medicare Supplement plans, Medicare Advantage Plans are NOT standardized and can change both features and benefits every year. Which State Can I Buy My Medicare Supplement In? You can enroll in Medicare in only one place. Social Security law requires you use your principal residence. That is the residence from which you declare your tax status, voter registration, driver’s license etc. If you declare Indiana as your stats of residence, then you must purchase your Medicare and Medicare Supplement from that zip code. If you declare Palm Beach or Sarasota or anywhere else in Florida as your residence for voting and tax purposes, that is the address you must use to purchase your Medicare. There is no grey area. What If I Move or Change My Legal Residence To Florida? If you are a Medicare beneficiary and decide to change your legal residence to Florida, it will have an impact on your Medicare or Medicare Supplement. Here is what you need to consider. If you have Original Medicare with a Supplement and you move to another state, the insurance company managing your Supplement is allowed to adjust the price of your Medicare Supplement to the price of plans in your new zip code. Since Medicare Supplement prices are high in Florida, you can expect a price increase of some form. Usually, you can call your insurance company ahead of time, tell them the zip code of the home you will be calling your official residence and they can give you an idea of how much your price will adjust. There are many things to consider, so they will not give you an official price change notification until after you move. During this Special Enrollment you can purchase a new Medicare Advantage plan or Part D Prescription plan based on your new zip code’s service area are go back to Original Medicare and purchase a Medicare Supplement. Medicare Advantage plans don’t work so well for Snowbirds because the time you spend in the state that is not your residence is time where your medical service is likely to be out of network and at a much higher cost. For Snowbirds who prefer Medicare Advantage plans, I suggest researching Medicare Advantage PFFS plans. PFFS stands for Private Fee-for-Service (pages 76 and 84 Medicare & You 2015 handbook). 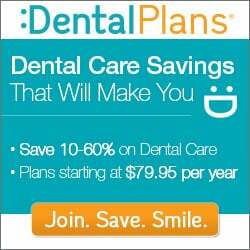 These plans allow you to see any doctor that accepts Medicare and will accept the plan terms. As with all Medicare Advantage plans, there are pros and cons to consider and there may not be one available in your state. There are such plans available in many areas of Florida. A special note of for residents of Massachusetts, Minnesota or Wisconsin. These three states have their own standardised Medicare Supplement plans that do not conform to the rest of the country. They are specifically for residents of these states. If you change your residence to Florida you will need to switch to a federally standardised Medicare Supplement and should be able to do so via a Special Enrollment that does not include medical underwriting. If you spend time every year in Florida but are a resident of one of these states, you must purchase one of their plans and cannot purchase one from Florida. If you are a resident of Florida but spend time in one of these states, please do not purchase one of their Medicare Supplement plans. They are for residents of those specific states and it is illegal for someone to sell you a plan that is not available in your state of residence. For more information on the plans available in these three states only, please see the government publication Choosing A Medigap Policy. Insurance is regulated and licensed by state. For an insurance broker to help you with a Medicare plan in your new residence, they must be licensed in that state. Since each state has different Medicare Supplement or Advantage plans that are the better value, having a broker licensed in that state will also mean they are familiar with which plans to consider. As much as I would like the insurance business of everyone who moves to Florida, if your current insurance broker has served you well and is licensed to do business in Florida and the county to which you will make your residence, stay with them. With today’s technology, long distance is only a phone call or email, and face-to-face can be done via web-cam. It is much more difficult to find an insurance professional that works well with you than simply finding one close by. We do a lot of business in states from coast to coast and in-between but are not licensed in every state. We use modern internet webinar features to have face-to-face meetings where neither we nor our clients have to dress up or clean house. Contact us. If we are not licensed in your state of residence, we know many licensed insurance brokers that can help and will get you the contact information of an experienced professional. All rights reserved. Please share this article via a link as you wish in its entirety with proper credit only. However, the article may not be re-published without permission. Please see our other videos and our articles. Just click the links above to see the videos or request your free quote comparison. Read what are customers are saying! Click here to view our testimonials and reviews.